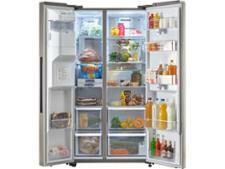 Energy-Efficient Fridge Freezers - Which? Find out which energy-efficient fridge freezers will have the least impact on your electricity bills, saving you money in the long run. A fridge freezer is probably one of the few appliances in your home that uses electricity 24 hours a day, so it makes sense to buy one that's as efficient as possible. Use our energy calculator and recommendations below to buy a fridge freezer that won't rack up your energy bills. Although fridge freezer energy labels give an indication of which ones are the cheapest to run, our in-depth testing has found that even models that have the same energy label can cost different amounts to run each year. When we test fridge freezers, we work out exactly how much power every model uses, as well as the likely annual cost it will add to your bills. But cheap chilling and frugal freezing are only worth having if the fridge freezer can cool quickly and maintain a stable temperature. Otherwise, you may find that you're while you're saving money on your energy bills, you're spending more at the supermarket, because a poor fridge freezer could reduce the lifespan of your food. 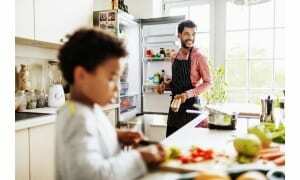 Check out our list of the best fridge freezers to help keep your food fresher for longer. We reveal our pick of the best energy-saving fridge freezers we've tested in the table below. Not only are these models very economical, but they were also among the top performers in our tough chilling and freezing tests, so you can be confident that you're getting the best of both price and performance. Which? members can log in to see our recommendations. If you're not a member, join Which? 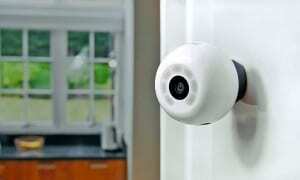 to unlock the table and gain instant access to all our product reviews. Quite simply, this is the best fridge freezer we’ve tested in years, if not ever. Many models that cost twice as much still can’t match this one for performance. The freezer cools four times faster than some we’ve seen, and the fridge is rapid as well, helping to keep your food fresher for longer. It will maintain a stable temperature, no matter what the weather outside, and it’s energy efficient, too, so you may be in for a pleasant surprise when you see your electricity bill. You can’t go wrong at this price. 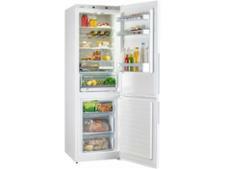 The average price of the fridge freezers we’ve reviewed from this brand is around £840, so this Best Buy is a bargain. The fact that it’s also very energy efficient means you’ll save even more over its lifespan. You get lots for your money, too. In addition to performing well in all our tough performance tests, this fridge freezer has a reasonable amount of storage space and a water dispenser. The freezer is also frost-free, so you’ll never have to go through the arduous task of defrosting it by hand. Integrated fridge freezers tend to cost more than freestanding models, but that doesn’t meant they have to cost more to run. This built-in model is very economical and, while the purchase price might be high, you get a lot for your money when it comes to features. It’s frost-free, so you won’t ever need to defrost the freezer by hand, there’s a humidity-controllable crisper drawer in the fridge to help keep fruit and vegetables fresh, and there are door alarms to alert you if a door has been left open. Although the temperature can rise a little in certain conditions, this fridge freezer performed well in most of our tough tests, and only narrowly missed out on being a Best Buy. 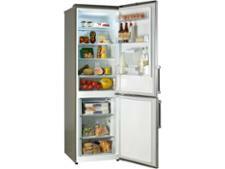 American-style fridge freezers can cost much more than £1,000 to buy, and more than £100 a year to run. So, although this model doesn’t look cheap, it’s actually a pretty average price for a model of this size, and it’s a lot more efficient than most. 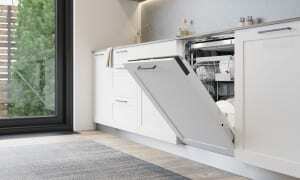 It will still cost more to run than most conventional fridge freezers, but that’s because you get more than 400 litres of usable space across the fridge and the freezer, which should be enough even for very large households. 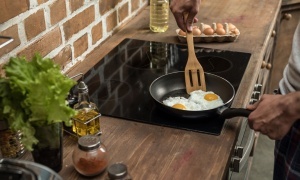 Despite its cavernous size, it’s still reasonably quick to chill and it is exceptional at maintaining a steady temperature, which should help to maximise the lifespan of your food. This fridge freezer is just over two metres tall, so it contains more usable storage space than most freestanding fridge freezers. And yet, thanks to it's A+++ energy label, it's also more efficient than most of them. On top of more storage space and lower running costs, this impressive fridge freezer also chills and freezes quickly to help keep your food fresher for longer. Don’t leave the door open for longer than necessary or the fridge freezer will be filled with warm air and have to work to cool down again. Avoid putting warm food in your freezer - let it cool down first. Keep your fridge freezer at least three quarters full - don’t overfill, though, or you’ll stop air from circulating around the compartments, and the appliance will use more energy to keep cold. When we test fridge freezers, we measure how much energy they use to keep cool, as well as the amount they use up when chilling and freezing fresh items, and we calculate how much they're likely to add to your yearly electricity bills - so you can factor in that cost when you're buying one. Of course, a great fridge freezer must be able to chill and freeze fast, and stay evenly cool around the clock, even when the temperature in your kitchen changes. To see which models make the grade as the best - and the worst - on the market, head to our fridge freezer reviews.